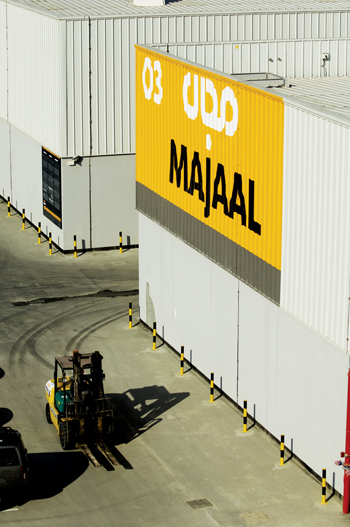 Majaal Warehouse Co, a wholly owned subsidiary of Kuwait’s First Bahrain Real Estate Company, is now home to more than 60 SMEs with a majority of businesses run by Bahrainis. The hub prides itself in its flexible operations including facilities management, conducting of feasibility studies and supervision of development and construction. A key success of Majaal is the contract it won to develop and manage the scheme of Kuwait’s Al Mazaya Holding Company at Majaal’s hub at the Bahrain Investment Wharf (BIW) in Prince Salman Industrial City. “We see Majaal as a catalyst for new development and innovation within the warehousing sector. 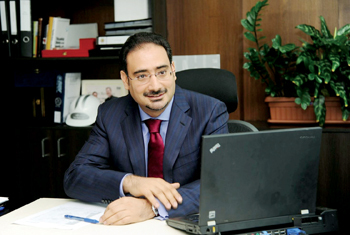 We’re not just providing space anymore; we have been approached by multi-nationals looking for solutions as well as investors and land owners who are interested in our business model,” said Amin Al Arrayed, Majaal’s managing director. “We are much more strategic and are also incentivising land owners to develop similar developments. The key driver to maintain is that it has been operating at full occupancy for the last four years and two-thirds of its lease contracts are with major tenants who have long-term renewable contracts. “We are actively managing around 30 tenants plus Mazaya’s 15. We are also working closely with government entities in directing foreign direct investment as well as contributing to the local economy,” said Al Arrayed. A company statement said: “Majaal’s business model has always been based on growth within Bahrain and the surrounding GCC countries; our brand is trademarked across the GCC which will only ease the process of expansion and growth in the future. We support our tenants whenever we can; a number of them are production units and we always try to support them by hiring their services.